18 fatalities in Siberia: crash of RA-25640, a Mil Mi-8AMT helicopter, operating for an oil company. Apparently collision with the load from another helicopter. The aircraft affected in the crash was HB-HOT of Swiss operator Ju Air, one of the few remaining Ju-52 worldwide. Two incidents have occured on yesterday, a small aircraft and the Ju Air. It was a Socata TB-10. Regarding fatal accidents reported on Aviation-Safety.net, 2018 is above the 5-year average at this moment. ..and well above indeed. Sad enough. And that is even without counting the (257?) victims of the Algerian Il-76 crash, that was military, so it was left outside the statistic. "...A PAC 750XL of Dimonim Air is reported missing on a flight between Tanahmerah Airport and Oksibil Airport, Papua, Indonesia. The flight should have a duration of 42 minutes but failed to arrive at Oksibil. Search operations are being conducted. Some people in a village reported they heard loud sounds and an explosion. There were two pilots and seven passengers aboard. The wreckage of the plane was located near Oksibil Airport. Eight occupants died in the crash, a boy was the only survivor. The aircraft made the first contact with Oksibil Tower at 05.11 UTC, then the ATC communicated to them the weather report . At 05.17 UTC PK-HVQ reported an overhead position at 7,000 feet. After the overhead position, communication between Oksibil Tower officers and the plane was immediately cut off. 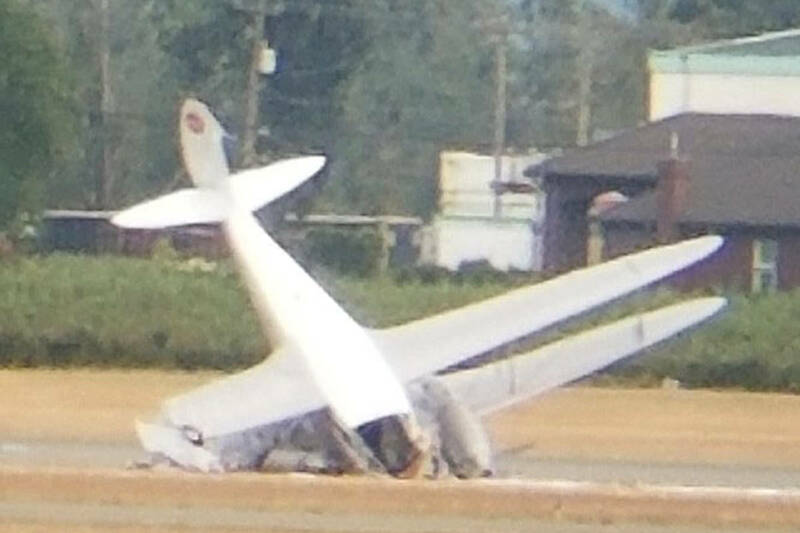 Oksibil Tower officials also were unable to communicate outside the Oksibil area using cellphones due to signal conditions..."
A 1944-vintage DH89 Dragon Rapide registered N683DH (still wearing former UK registration G-AHXW) crashed at the Abbotsford Air Show in British Columbia yesterday (SE of Vancouver), injuring the pilot & 4 passengers. It was reported elsewhere on this site that Ju-Air wanted to restart flying with its remaining Ju-52 aircraft after 16 August. On Aug 16th 2018, BAZL (the Swiss CAA) reported that the investigation so far has not revealed any clues to a technical cause of the crash of Aug 4th 2018. Nonetheless, the BAZL demands that a number of precautionary measures are being implemented by Ju-Air prior to resuming flying operations on Aug 17th: all aircraft must carry a recording GPS receiver to permit assessment of flight routes, the aircraft must observe an increased minimum safety height above legal requirements and the passengers must remain seated with their seat belts fastened throughout the flight and are no longer permitted to move freely within the aircraft (including cockpit visits). Ju-Air have already indicated they are going to comply with the demand. The investigation is ongoing and could take several weeks to months until first preliminary results. Should during the investigation new information of a technical problem be found, the BAZL will again assess the situation and may introduce new measures up to grounding the aircraft.